Ancient people, Chinese and foreign alike, were equally amazed by the wonderful night sky. The white shinny Venus, the Big Dipper, the Orion’s belt, the Vega, etc., they all comes with interesting legends and fantasies. Yet only a few wondered how it related to lives on Earth, not to mention our fate. Chinese fortune-tellers mention the 3 Enclosures 三垣 and the 28 Mansions 二十八宿 quite often enough, but what are they? What are their significances? How do they relate to Chinese Metaphysics? And most of all, how do they interconnect with our fate? The Three Enclosures: the Purple Palace Enclosure 紫微垣, the Supreme Palace Enclosure 太微垣, and the Heavenly Market Enclosure 天市垣 are the three specific divisions in the northern celestial hemisphere. The 28 Mansions are in fact the 28 uneven divisions along the Ecliptic 黃道. They are the Horn 角, Neck 亢, Root 氐, Room 房, Heart 心, Tail 尾, and Winnowing Basket 箕 from the Eastern Azure Dragon 東方蒼龍七宿; Dipper 斗, Ox 牛, Girl 女, Emptiness 虛, Rooftop 危, Encampment 室, and Wall 壁 from the Northern Murky Warrior 北方玄武七宿; Legs 奎, Bond 婁, Stomach 胃, Hairy Head 昴, Net 畢, Turtle Beak 觜, and Three Stars 參 from the Western White Tiger 西方白虎七宿; Well 井, Ghost 鬼, Willow 柳, Star 星, Extended Net 張, Wings 翼, and Chariot 軫 from the Southern Vermilion Bird 南方朱雀七宿. The 28 Mansions are just the markers on the Ecliptic. The purpose of which is to record the positions of stars and planets at any given time, especially the sun. Without which, we can hardly deduct a purposeful calendar to guide our daily activities. But, how complicated a Chinese calendar could be? How accurate are they? Why does it make it so unique? Similar to the Zodiac Constellations in western astrology, the 28 Mansions are just the markers on the Ecliptic. The purpose of which is to record the respective positions of stars and planets, especially the sun along the Ecliptic at any given time. Without which, we can hardly deduct a purposeful calendar to guide our daily activities. But, how complicated could a Chinese calendar be? How accurate are they? What makes it so unique? How does it relate to Heavenly Stems and Earthly Branches and thus Wu-xing? Chinese Thousand Year Calendar is a lunar-solar calendar, a mixture of both the lunar calendar and the solar calendar. How do they work together? How to determine an intercalation? Is there an intercalation after the 7th Lunar Month in 2033 or after the 11th Month? 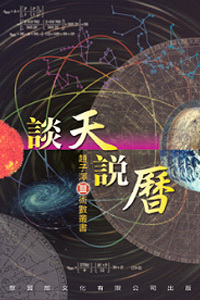 "China Astronomy and Calendrical Calculation" 《談天說曆》 offers you a walk in the space and reveals how a Chinese calendar is calculated. Plus, giving you an overview of how did Chinese calendars evolved over the history of China as well as how it works with Chinese Metaphysics. A brief introduction of the book and its Chapter. Starting from the rotation and revolution of the Earth to a general concept of the celestial sphere and Kepler’s law, reveals how mankind discovered and conceive measurement of time – a very basic of a modern calendar. For the purpose of recording time, calendar is simple and straight forwards. The make of a calendar however is complicated. Ancient Chinese Astronomers invented some very interesting astronomical instruments and mathematic calculations in order to observe and thus to make accurate calculation. The mathematic calculations are namely Chinese Remainder Theorem, Continuous Fraction and Convergent, Interpolation, to name just a few. Calendar marks the technological advancement of a country. Calendrical Calculation in China evolved from a simple system of using Mean Sun and Mean Moon, to Mean Sun and True Moon, and finally True Sun and True Moon as what Gregorian calendar is using today. There were totally more than 100 calendars proposed but yet only about 65 of them were implemented. Calendar was used not just to show off the technological advancement, but most often used as tools for political disputes by some aggressive politicians. China is not the only country doing astronomical work and calendar calculation. Along a different path, Europe evolves and become leading in calendar calculation since the 15 century. The use of Julian Day, a crucial parameter in today’s astronomical calculation was introduced since then. October 15, 1582 onwards, Gregorian calendar becomes widely adopted worldwide including China. While we are using Gregorian calendar today, China Metaphysics are still employing a unique recording system called Recording System using Stems and Branches 干支紀法. Together with the concepts of Wu-xing, the System offers a very distinctive perspective of fate analysis for a specific day. This book is written for those, either amateur or professional, who want to study Xuan-kong Feng-shui in great details. This book also serves as a great reference book of today’s Xuan-kong Feng-shui.